It's Singles Day in China, and if there's one person who truly understands the meaning of the holiday, it's newly single Russian President Vladimir Putin, who's been putting the moves on everyone lately. At an Asia-Pacific Economic Cooperation event in Beijing Monday night, Putin draped his coat over the shoulders of Peng Liyuan, China's first lady. 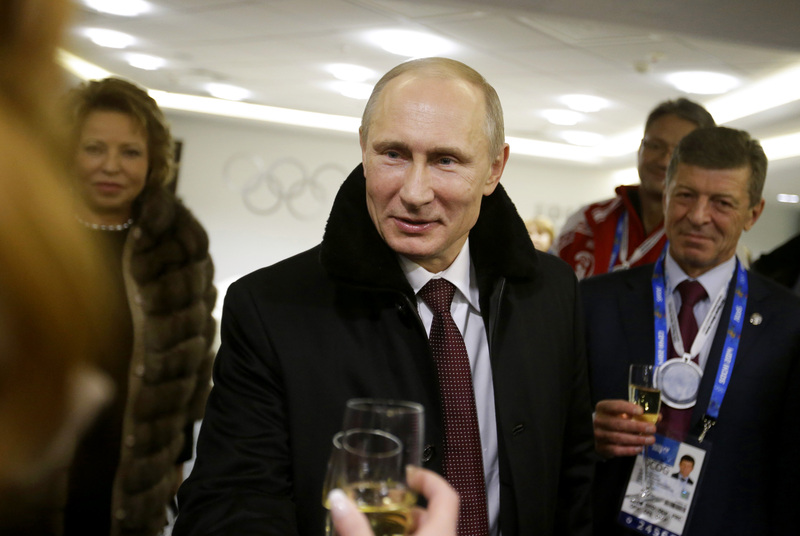 It was a sweet gesture — one that oozed classic Putin charisma —that captured the attention of millions around the globe. Forget that Peng Liyuan is married to the president of China —Vladimir Putin is the ladies' man on Singles Day. Well, maybe not so much. Putin's moment with Peng Liyuan was also short-lived. The first lady graciously accepted Putin's coat, and wore it for exactly four seconds before handing it off to an aide. There's no word yet how Putin felt about this obvious rejection, or if he received his coat back. Although the gesture was unrequited — c'est la vie — it was risque enough to be censored on Chinese television. According to Foreign Policy, the video the captured the chivalrous moment, as well as the fledgling hashtag created on a popular Chinese social media platform, was scrubbed from Chinese news sites overnight. On Tuesday morning, there was little trace left of "Putin Gives Peng Liyuan His Coat." As the APEC summit, which brings together 21 world leaders, continued on Tuesday, Putin tried a move on someone else — President Barack Obama, whose current relationship with the Russian president is strained at best. Cameras captured Putin putting a hand on Obama's back as the two leaders entered a wood-paneled room for their opening meeting. Putin left his hand on Obama's back for a brief moment. Obama refused to make eye contact with Putin. It was awkward. Just make up already, you guys. Even President Xi Jinping is waiting for you two. Putin's official Twitter account also tweeted this lovely photograph of him and Obama, which really says a thousand words and then some. Is there any hope for these two?